Traditional Chinese Medicine (TCM) is a complex system of healing that includes various forms of herbal medicine, acupuncture, massage, exercise and dietary therapy and has been used for over 3,000 years. 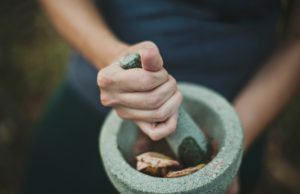 A basic tenet of TCM is that the body’s vital energy (QI) circulates through channels called meridians, that have branches connected to bodily organs and functions. There are six therapeutic methods encompassed in modern TCM. 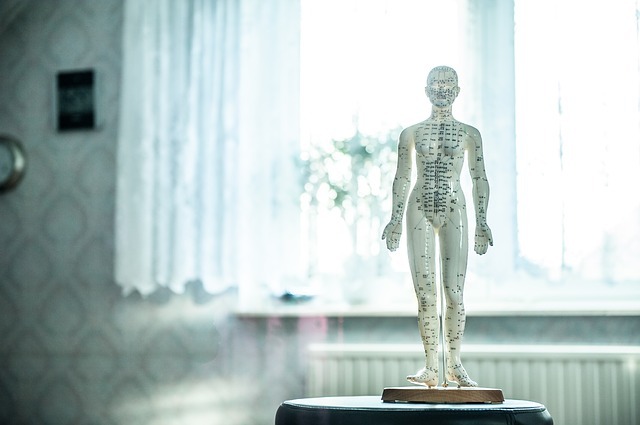 Acupuncture stimulates, disperses and/or regulates the flow of vital energy, known as Qi, through insertion of fine needles into specific body points. Acupuncture has the ability to help restore health and eliminate pain by removing blockages and imbalances to the flow of Qi. One also usually experiences a sense of deep relaxation and reduced stress during a treatment. Electro-acupuncture is a form of acupuncture where a small electric current is passed between a pair of acupuncture needles to help guide the flow of Qi. This stimulates the flow of energy to help reduce pain, inflammation, increase circulation and reduce stress. Moxibustion is a Chinese herbal treatment used to treat certain imbalances in the body. The herb is heated over specific points on the body to enhance the acupuncture point’s function, increase circulation, decrease inflammation and ease pain. Gua sha is a technique used to promote circulation in the muscle layer and release toxins in the body using a scraping tool such as a ceramic spoon or an animal horn. Cupping is a technique where glass or plastic suction cups are placed on certain areas of the body for a period of time. Both help stimulate circulation, reduce swelling, decrease pain and release tension. They detoxify the body by breaking up Qi blockages the body has created, often produced by stress, illness and injury. Tui Na is Chinese therapeutic massage of “grasping and pulling” which is used to treat a wide range of ailments. Tui Na is normally used in conjunction with acupuncture, cupping, electro-acupuncture and/or moxibustion. Qi Gong is a holistic system of moving meditation, coordinating slow flowing movement, deep rhythmic breathing and calm meditative state of mind. Qi Gong is typically practiced worldwide for recreation, exercise, relaxation, preventive medicine, self-healing, alternative medicine, meditation, self-cultivation and training for martial arts. In Chinese nutrition, a balanced diet is one that incorporates all five tastes – spicy (warming), sour (cooling), bitter (cooling), sweet (strengthening) and salty (cooling). Foods with a particular taste tend to have particular properties and there are no forbidden foods or generic diets. Nutrition is considered the first line of defense in TCM.